Of the hundreds of authors we offer, there’s one I know for sure will affect your life for the better. I believe this man and his audio course may never be surpassed in their power to change lives. I was revisiting one of my favorite audio courses the other day, Deepak Chopra’s Magical Mind, Magical Body. Of all the products we’ve issued, by dozens of the greatest experts in the world, this is still one of my very favorites. The first time I reviewed the course, I was in an emotional and spiritual shell that nothing could penetrate. But that shell was broken forever, thanks to Dr. Chopra. The effects were, as the title promised, magical. I want to learn what our best customers think of Magical Mind, Magical Body, but in going through our records, I don’t think I saw that you own this course. If that’s right, and you’ve overlooked this title until now, I urge you to read on. It really is that important. There must be a reason why you haven’t joined our most spirituality-conscious customers and added Magical Mind, Magical Body to your collection. Perhaps you didn't realize that it’s easily one of our bestselling courses. Or that it’s based on a principle that has been proven for more than 6,000 years! Or that it’s one of the few courses that connect the health of your spirit to body and mind — essentially three courses in one! Or you may not realize that Magical Mind, Magical Body goes far beyond simply cleansing your spirit. Improve your eyesight, hearing, and sense of smell — it actually works! If that doesn’t sound like a recipe for a satisfying life, I don’t know what does. In fact, it’s so vital to complete your spiritual, health, and achievement goals, that today we are offering you — one of our best customers — a one-time chance to add Magical Mind, Magical Body to your collection for ONLY $59.95! Thousands of our customers have paid more than $79.95 for this spiritual gem. I’ve witnessed this course dramatically enhance people’s lives as it lifts their souls. For many people, this single course was their first step toward finding who they truly are and what they are capable of. And it did the same for me. Complete your spiritual collection. Complete your life. Today, as Chairman at Nightingale-Conant, I have many roles. One of the roles that I most cherish and enjoy is my role as trusted adviser. It’s a role I take very seriously. You see, we don’t simply suggest random products to valued customers like you. Rather, we try to understand who you are and what you wish to accomplish in your life. Only then do we look to see if we have a course that meshes seamlessly with you. We know you are a spiritual seeker. We know that you put your health at a high priority in your life. And we know that you are striving to accomplish more using your mind and abilities. Therefore, you deserve the privilege of listening to this legendary course for just $59.95. I can’t make an offer like this available for long, so don’t wait! I promise it will change your life. I’m living proof. YES, I want to complete my spiritual as well as my personal development library! Dr. Deepak Chopra says, “A perfect balance of mind, body, and spirit is your birthright.” I’m ready to seize that birthright with this exclusive offer! 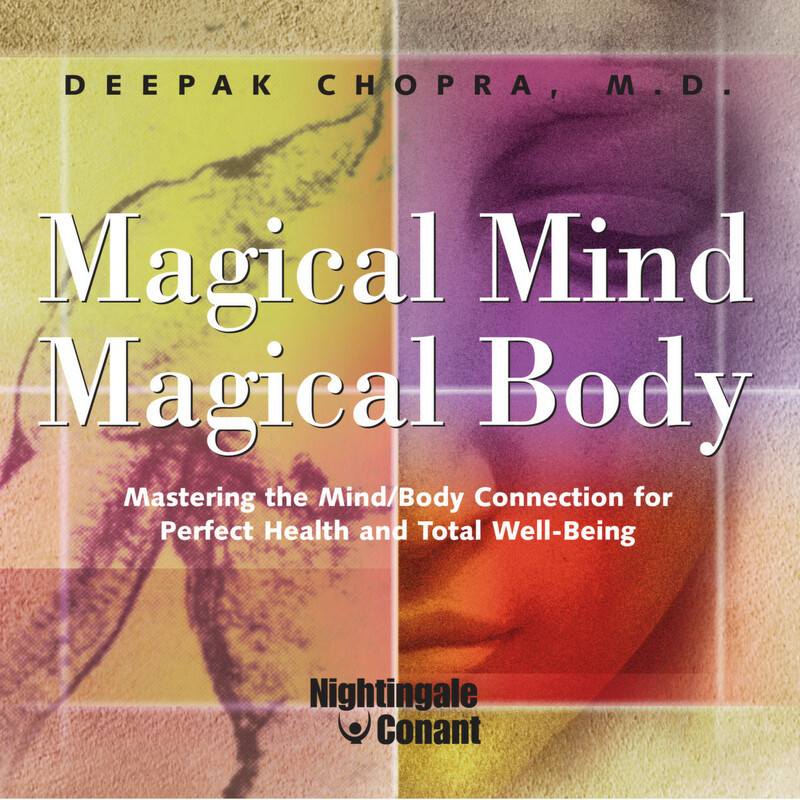 Please send me Dr. Chopra’s bestselling course Magical Mind, Magical Body — including 6 audio CDs plus the PDF Workbook today, for just $59.95, which is 70% OFF the retail price of $199.95. I want to take advantage of this limited-time special discount now! If my life isn’t hitting higher notes spiritually, intellectually, AND physically, I understand I can simply return the course in the next 30 days for a full refund. No questions asked.